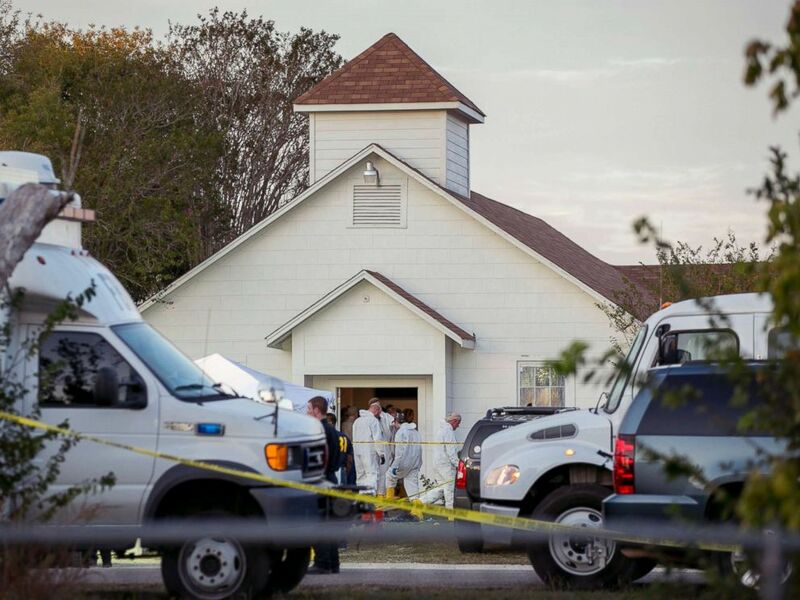 Gunman Devin Patrick Kelley, murdered 26 people and wounded 20 more inside a small Texas church on Sunday. He was armed with an assault rifle and 15 loaded magazines in the deadliest shooting in Texas history. This tragedy comes on the heels of the Las Vegas mass shooting which resulted in 58 dead and 546 wounded. Both shootings were the result of alienated, angry white men with easy access to assault weapons. After both shootings the President and many elected leaders called for a time of silence and prayer. Prayer for the victims and those left behind. As a pastor and as a citizen I say that prayer is not enough. It angers me that elected officials, who are selectively pious, use ‘moments of silence and prayer’ as a calculated means of diverting our attention from what needs to be done. In their mind prayer is an end unto itself. The NRA and their minions both religious and political, use prayer as a means to maintain the status quo. They think prayer will offer a sufficient release from the pain and confusion we feel. They view prayer simply as a release valve. But they don’t understand prayer. Prayer when entered into with sincerity has a way of opening up the mind, heart and imagination. Prayer can convict us when we are on the wrong path and lead us in a new direction. People of faith call this conversion. To turn from one direction towards another. My prayers are with those who lost their lives and lost loved ones in that little church in Texas. But my prayer is also for our nation, that we will repent from our idolatry of guns. The NRA and their elected collaborators hope that prayer will divert us. My hope is that prayer will propel us to get involved and say ‘no more’. No more children and families ripped apart by easy access to weapons. Prayer is not and end unto itself. Prayer can empower us to put in place reasonable limits on access to weapons (universal background checks, outlawing of bump stocks and semi-assault and assault weapons, limits on types of ammunition designed to inflict the greatest damage). In today’s New York Times there is a compelling article entitled: ‘What Explains U.S Mass Shootings’ https://www.nytimes.com/2017/11/07/world/americas/mass-shootings-us-international.html?_r=0 The article points out that the United States rate of gun violence is unique and rooted in our unfettered access to weapons. It seems we love our guns more than life itself. Americans make up about 4.4 percent of the global population but own 42 percent of the world’s guns. From 1966 to 2012, 31 percent of the gunmen in mass shootings worldwide were American, according to a 2015 study by Adam Lankford, a professor at the University of Alabama. Yes, let us pray. Let us confess and turn from our worship of weapons. Let us pray for the strength to continue the good fight of bringing about sane, reasonable limits on weapons. For the sake of the children now and the future, let us pray and let us act. And for the many fools who presume to tell us that “Guns don’t kill people. People kill people,” one can easily say: true enough. People WITH guns kills people. And for the many blind fools who presume to say it’s not a gun issue but a mental health issue, one can easily retort: in other words, our takeaways are 1) that the US has considerably more unstable people than the rest of the world, and 2) the same mental health issues which drive such mass killings really only happen here and not elsewhere. There is zero logic within the gun lobby. Zero logic and even less foresight. And still less compassion. Rob, appreciate your perspective as a Canadian living in the United States. Such a contrast when it comes to levels of gun violence. We share a common border but our rate of gun violence and mass shootings in particular are a world apart. Thanks for your writing. This latest incident in Texas only once again points to the violence visited upon children. Thanks for sharing the NY Times article, too. God Bless America – oh my, oh my! Marge, thanks and keep up your good work for kindness and hope. Thanks David. Grateful for the wisdom you bring in your blog too. Joe, thanks for linking your blog article to mine. You know I think prayer is much more than a placebo effect. The danger is when the NRA and politicians think of it as an ‘ending’ rather than as a ‘beginning’ for dealing with the underlying causes of mass shootings, namely, easy access to weapons and in particular weapons designed to kill as many people in the least amount of time. Prayer can strengthen and empower people to speak truth to power and change the status quo.